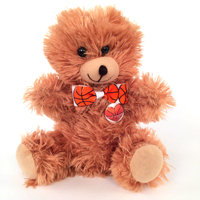 Looking for a unique basketball themed gift for someone special? The Basketball Rose features petals handcrafted from genuine basketball material that bloom forever. 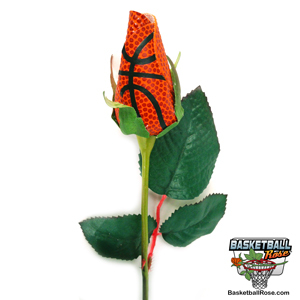 Basketball Roses are a great gift for fans, players, team moms, or coaches. 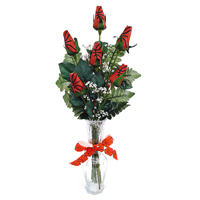 Give Basketball Roses for all occasions - senior night, graduations, prom, birthdays, anniversaries, weddings, sympathy flowers, Mother's Day, Father's Day, or Valentine's Day. 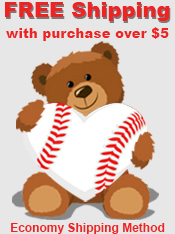 Score big with a winning gift! It's a Slam Dunk! 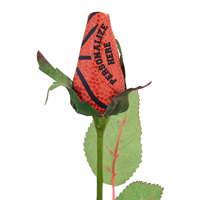 Petal Personalization Service: We can add short permanent message on the petals of the Basketball Rose. 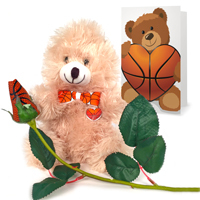 Click Here to order Personalized Basketball Roses This is a great way to commemorate a special occasion like a player number, birthday, wedding date, tournament name, or special achievement. From Anonymous of San Diego, California on 1/9/2018 . I love using Basketball Roses for our Senior Night events since they never die! From CRYSTAL WESTPHAL of WARRENSBURG, Missouri on 10/31/2017 . I ordered football, basketball and baseball roses for my husbands grave. These are PERFECT! . . .
From Kam Roth of Livingston, Wisconsin on 2/27/2016 . Perfect gift for senior night....she loved it! From Beth Kozee of Grayson, Kentucky on 2/18/2016 . 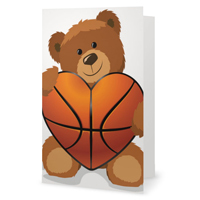 A nice gift for the team mom of my son's basketball team. 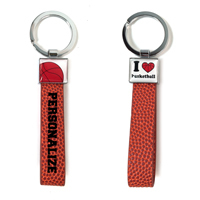 Love to personalize. It arrived . . .